One day a blonde, red-head, and a brunette were driving through the desert when all of a sudden their car broke down. They decided they would all walk to civilization. The red-head said, "I'm going to take water so if I get thirsty I can drink it." 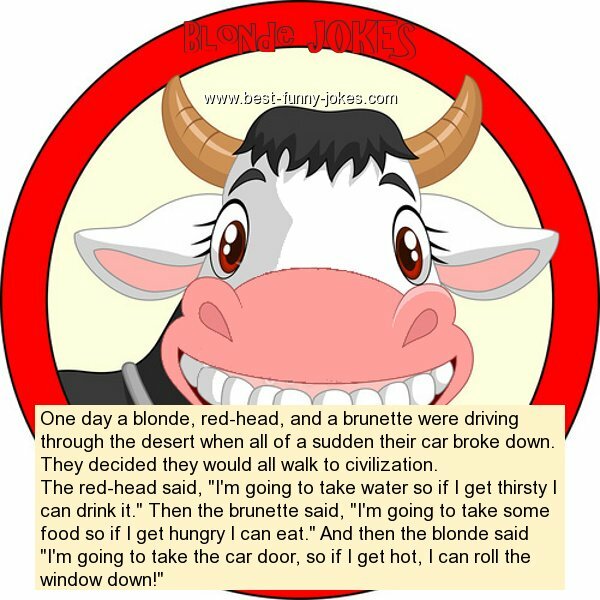 Then the brunette said, "I'm going to take some food so if I get hungry I can eat." And then the blonde said "I'm going to take the car door, so if I get hot, I can roll the window down!"